Are you sure you want to install iOS ’86 on your iPhone? What if the iPhone existed in 1986? 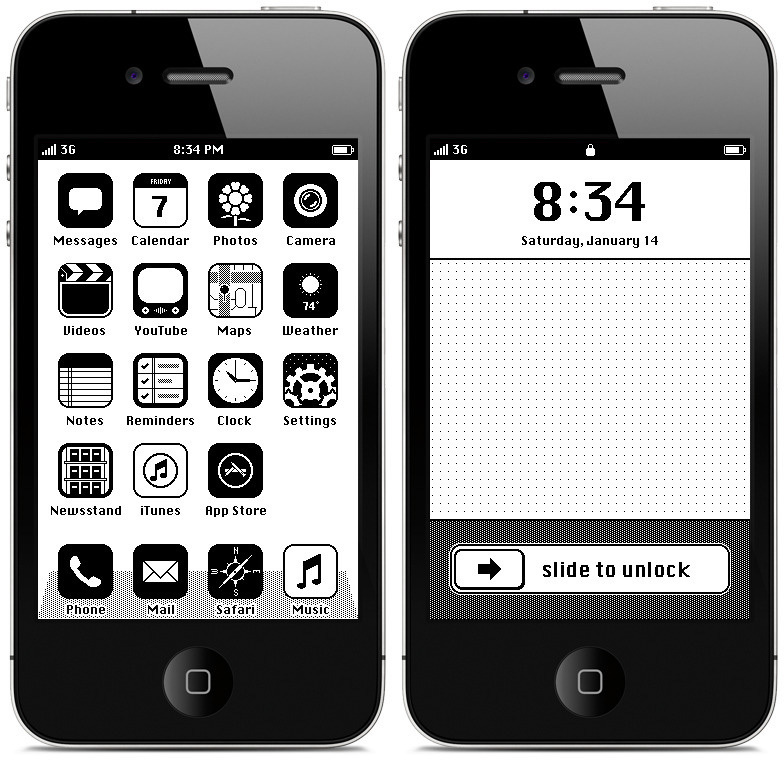 The iOS ’86 concept by Anton Repponen wonderfully re-imagines the default iOS home screen in the style of the classic Mac OS, complete with the classic Chicago bitmap font that Susan Kare designed for Apple Computer. The Retro iPhone iOS 1986. For more spellbinding vintage tech, follow my board with Retro Tech Romance on Pinterest!